Children happen to be very curious as they grow up. That gives their parents an opportunity to teach them new things and get them started with science and other important topics. Giving your child a large book to read is not way to go about it though. Take DIY Sun Science for instance. 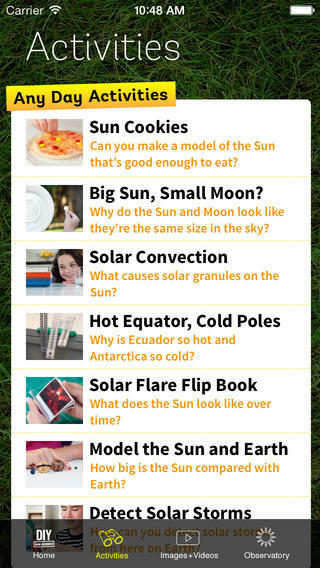 It is an awesome app that teaches users about the sun with fun activities and experiments. 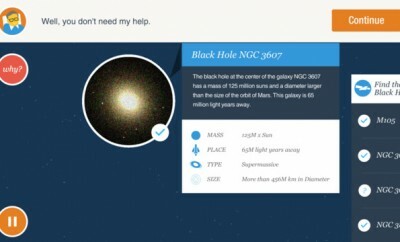 DIY Sun Science uses a pragmatic approach to teaching users about the sun. It has fun, family-friendly activities. 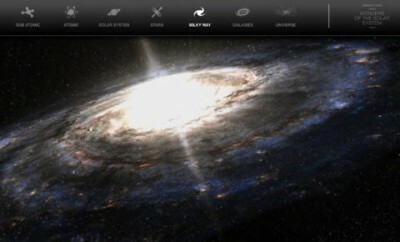 Videos of the sun and images are also included. You are provided with step by step instructions and explanations. You also get material lists for each activity, so you can get started right away. 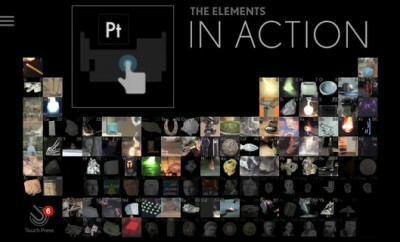 What I like about this app is the fact that it does not ask you to get hard to find materials to get started. DIY Sun Science is available for free at the time of this writing. 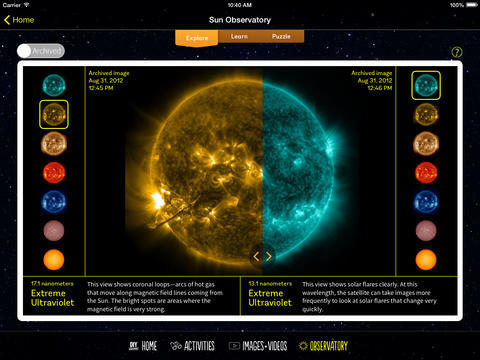 It is a universal application full of instructions, videos, and photos to teach you about the sun.